My first race of the year was last Saturday - The Rawlinson Bracket, a charity ride in aid of SADS UK who provide information about, and fund research and medical equipment to help prevent Sudden Arrhythmic Death Syndrome. The event’s namesake, Nick Rawlinson, died of this condition in 2012. It’s not technically a race, it’s a mass participation event… that people like me treat as a race! The route was a hard 93km taking in the toughest local climbs, including Edge Hill and Sunrising Hill. Conditions weren’t ideal with thick fog for the first hour limiting visibility to around 100m, but overall it was a well-organised event and a fun morning out. The “race” went very well. I finished 28th of 514 finishers (full results here), but more importantly, I felt strong throughout. It was hard from the gun, and I made the quick decision to stay at the front as long as I could. Six riders were clearly the strongest and immediately went up the road, eventually finishing 10 minutes clear. The second group quickly got organised. I was sitting comfortably in the paceline, at least until the first climb! I knew I was going to struggle whenever the road headed up, so I played it tactically. Leading into the first climb, up to Fenny Compton, I got to the front then rode at my own pace. This allowed me to slip back through the group before we reached the top but just about stay in contact. I only had a short distance to bridge, which I made back comfortably on the descent. Had I not have used this tactic I would have been dropped entirely by the summit and closing the gap would have been much harder. This tactic didn’t work so well on the second climb, though, where I lost contact. I was dangling 100m behind the group for the next ten minutes or so but couldn’t quite get back on! For the remaining 70km, I rode with three lads from the Boldmere Bullets who were also dropped. We worked well together and only lost around five minutes on the main group by the end. There were many positives from my first event of the year. In particular, I felt strong all day despite this being the furthest I’ve ridden since last summer. I averaged around 250W for the first hour with frequent short bursts of over 500W. My normalised power - an estimate of the equivalent power output for a perfectly paced steady state effort - for the first hour was 280W. This is right around my outdoors functional threshold power, so was a seriously hard effort! Despite this, I was still able to hold it together for two more hours averaging 210W (250W normalised). I put this down to nutrition. I tried carb-loading for the two days prior - I basically ate as much as I could stomach! I also ate every 20 minutes or so throughout the race, mostly energy gels and flapjacks. At no point did I feel drained of energy and was still riding strong at the end. 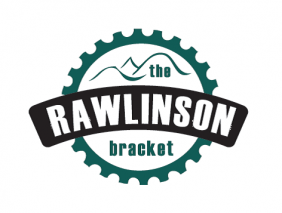 In the week since The Rawlinson Bracket, I’ve noticed a big bump in fitness. In particular, I’m putting out way more power on my easy rides but if anything they feel even easier! I suspect this is mostly psychological - I went all in and handled it. I certainly wouldn’t expect this kind of fitness boost from a single ride within a few days. Either way, I’ll take it! I’m still too heavy! There’s no getting around it. I have the raw power but every time we went uphill I was struggling. I’m not sure why I’m struggling so much to lose weight. I’ve not had any trouble before. In fact, last time I was training at this volume, intensity, and consistency (a good ten years ago now) I had to increase my junk food intake to prevent losing too much weight! I guess my metabolism is much slower now I’m in my thirties. My next event is the Cotswold Cyclo in a couple of weeks, a 143km sportive around the Cotswolds with 1700m of climbing. Other than being a solid training day it will also give me a chance to test my pacing and nutrition strategy for Fred Whitton. I’m not going to race this one the same way as last weekend, though I am going to ride a strong tempo throughout and aim for the gold-standard time for my age group of 5 hours 43 minutes. In the meantime, this morning was my last hard session of this block (nearly two hours of over-under intervals. Ouch! ), and I’m due a recovery week!